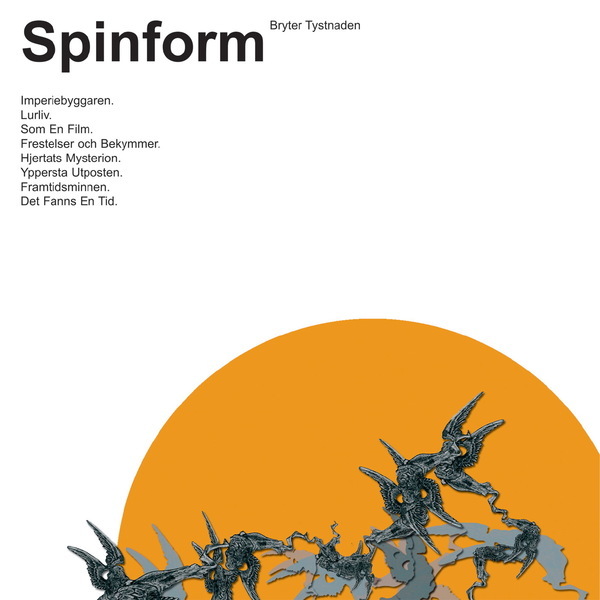 Some of you may remember Erik Moller's Spinform project from a few years ago when the utterly sublime Superstana EP popped up out seemingly of nowhere on the Hobby Industries label. Moller managed quite magnificently to combine Four Tet style chopped rhythms with an electronic melodic sound closer to Arovane or label boss Opiate. Now it's time for his debut album, and it doesn't disappoint - those crisp chopped beats are back but we have the addition of crackly guitar and piano parts on top of the light electronics. These embellishments take Spinform's sound to places it hasn't managed to get to before and make the album a hugely rewarding listen. Good quality electronic albums are few and far between these days, but Moller has put something together that is both engaging and enjoyable, and more importantly it doesn't sound dated. There's a lo-fi quality to 'Bryter Tystnaden' usually left well alone on electronica albums, and in the end this is what makes it so unique. Recommended.